A match we didn’t know we needed! Punk rock-pop icon Avril Lavigne and Rap queen Nicki Minaj released a new song, “Dumb Blonde” which put all the haters to rest. “Dumb Blonde” which is on Avril’s sixth album called “Head Above Waters” which will be releasing on the 15th of February. 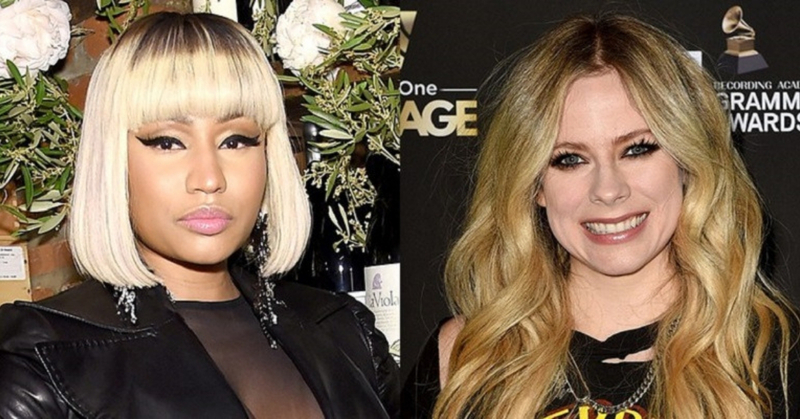 Avril does it once again and this time she’s doing it alongside queen Nicki Minaj! Avril puts the hate rumors to rest the ones which called her dumb just because of the way she looks. “I ain’t no stupid Barbie doll”, “I got my game on” are lyrics that showed what she’s capable of. Avril who is releasing her album after five years (yes, you read it right after FIVE years) is now back with her album Head Above Waters and honestly, we’re already obsessed with the songs she’s been teasing us with! Our jaws dropped when Nicki’s verse showed up, “All the hatin’ you was doin’ got the Barbie poppin”, “Now all of ’em wanna be a Barbie, I’m watchin”. Avril and Nicki have been fans of each other’s for quite sometime and we’re happy they’ve finally done something iconic as a pair! Keep it up girls! We’re not the only ones who think Avril Lavigne and Nicki Minaj is a match made in heaven, just look at these tweets! Me:omg when is #DumbBlonde gonna drop?